Explore other magical attractions, such as Le Jardin d'Amour Garden, Linh Ung Pagoda, and more! 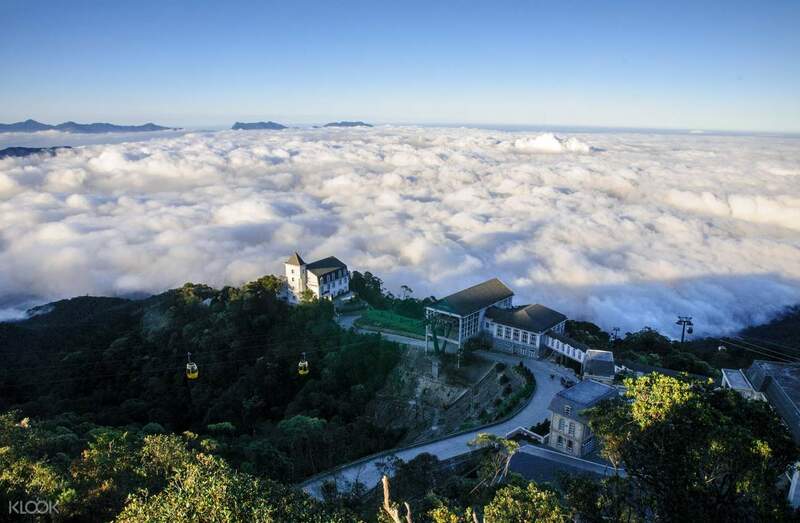 Tour Ba Na Hills with an English speaking guide and round trip transfers by booking a Ba Na Hills Day Tour or Ba Na Hills Day Tour with Golden Bridge! Best known for its heritage sites and powdery shores, the coastal town of Da Nang is always on top of every tourist's holiday picks. But in recent years, the tourists have been seeking a new kind of wonder, and it's far from the ocean. 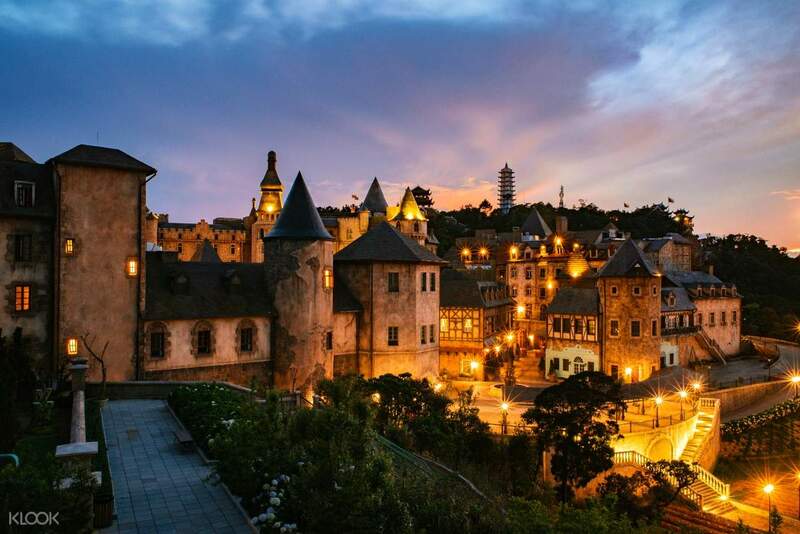 Visit Ba Na Hills and learn why 1.5 million visitors flock this place annually. 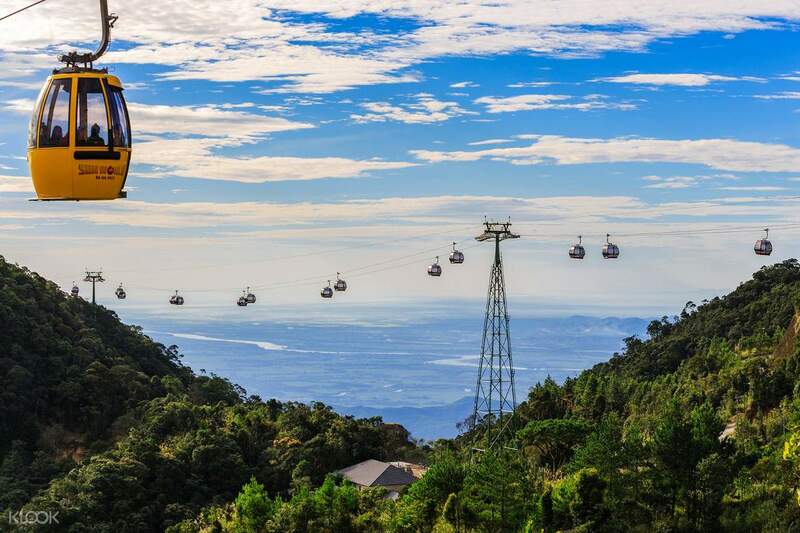 Located at the peak of Chua Mountain, Ba Na Hills' only way of transportation is via cable car. Rated as one of the most impressive cable car systems in the world, the Ba Na cable car is an attraction in itself. See the mountain region's entirety - from high waterfalls and fogged peaks, to thick forests of tropical vegetation, the ride to the park sets the bar high in terms of natural sceneries. Get off Ba Na Hills station and be welcomed by a breathtaking 27m high Buddha statue surrounded by a garden of colorful flowers. 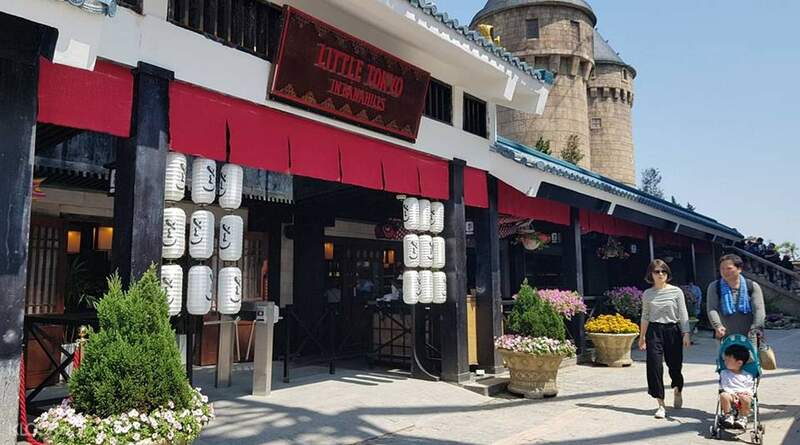 Make the most out of your trip and go through every stop: Family Entertainment Center (FEC), Linh Ung Pagoda, Linh Phong Tu Tower, Debay Wine Cellar, French Village, Le Jardin D'Amour, Tombstone Temple, Linh Chua Linh Tu Temple, Campanile, Ba Shrine, Fantasy Park, Funincula, and Alpine Coaster. Explore all of these for a discounted price when you book through Klook! This is a great getaway for a full day event when you are in Da Nang. 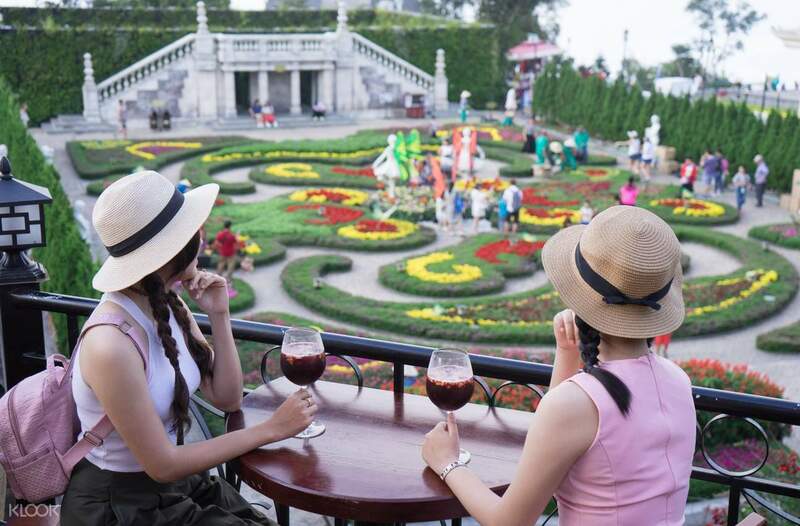 For solo traveller, you can use GrabBike to travel from Da Nang City Area to Ba Na Hill for 100,000 VND. The collection of the ticket is easy at the tour agent room. This is a great getaway for a full day event when you are in Da Nang. For solo traveller, you can use GrabBike to travel from Da Nang City Area to Ba Na Hill for 100,000 VND. The collection of the ticket is easy at the tour agent room. Ba Na Hills was amazing and definitely worth a visit. We were staying in Hoi An so it was an hour Journey and we paid 850,000 VD for a private car to get there and back (split between 3 people). Klook desk was easy to find and redeem tickets and opens at 7am. I would highly recommend getting to Ba Na Hills for exactly 7am opening time as the tour groups have not yet arrived by that time. We got some great pics with virtually no one else on the bridge whereas an hour later the bridge was packed! We also then went straight to the rides and had little to no wait on everything. When we left at around 12.30pm the park was very very crowded and full of big tour groups. Being one of the first people on to the bridge and into the village made our experience extra special and meant we got to do everything we wanted without waiting around or wading through huge crowds and we got amazing pics! Ba Na Hills was amazing and definitely worth a visit. We were staying in Hoi An so it was an hour Journey and we paid 850,000 VD for a private car to get there and back (split between 3 people). Klook desk was easy to find and redeem tickets and opens at 7am. I would highly recommend getting to Ba Na Hills for exactly 7am opening time as the tour groups have not yet arrived by that time. We got some great pics with virtually no one else on the bridge whereas an hour later the bridge was packed! We also then went straight to the rides and had little to no wait on everything. When we left at around 12.30pm the park was very very crowded and full of big tour groups. Being one of the first people on to the bridge and into the village made our experience extra special and meant we got to do everything we wanted without waiting around or wading through huge crowds and we got amazing pics! Wow1, this is certainly a unique area. we covered over 10km in cable car rides to get from the arrival area to the theme park/restaurants/golden hands bridge and back again. There seems to be no real logic to anything here, and we found this to be very weird. We walked the golden hand bridge, which was our aim, and everything else was a bonus. Wow1, this is certainly a unique area. we covered over 10km in cable car rides to get from the arrival area to the theme park/restaurants/golden hands bridge and back again. There seems to be no real logic to anything here, and we found this to be very weird. We walked the golden hand bridge, which was our aim, and everything else was a bonus. 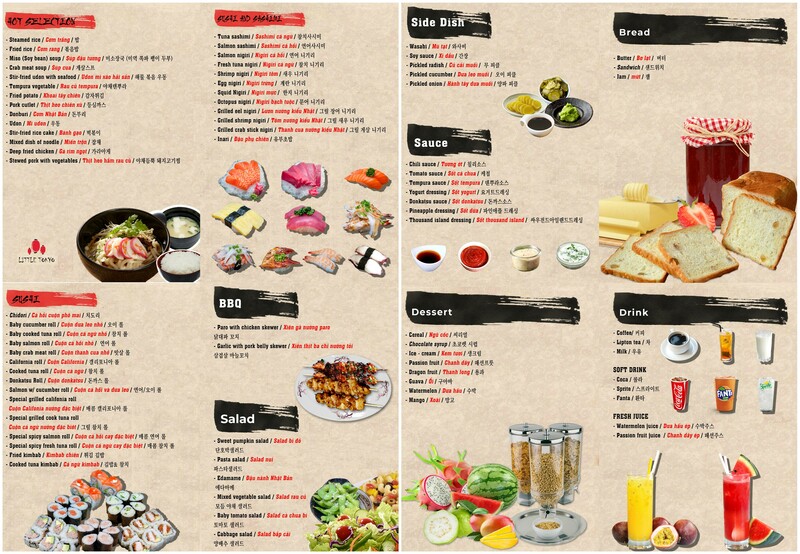 My best experience with klook, the service counter is easy to locate with a big klook sign. The customer service start working on 7am while the Bana Hills open at 730am, so you have the earliest cable car ride to Bana Hills and take photo shot before heavy tourist storm the site. My best experience with klook, the service counter is easy to locate with a big klook sign. The customer service start working on 7am while the Bana Hills open at 730am, so you have the earliest cable car ride to Bana Hills and take photo shot before heavy tourist storm the site. Fresh Air, Nice Weather. * SUPER LOTS OF KOREANS * there was one sec I though that we have come to another country. (not a bad thing but a special experience) Although it is not *cold* (will get hot / sweat when sun comes out) but the overall experience is great! Lots of indoor attractions and arcade games (free for all) in Fantasy park. Nice warm tea at the tea house (and clean toilet with no queue here too XD) Remember to leave the place before 7 as it will become a very dark and silent.. (we stayed until 715pm and have to wait until 8 to get the cable car down hill.. and it was super darrrkk). Fresh Air, Nice Weather. * SUPER LOTS OF KOREANS * there was one sec I though that we have come to another country. (not a bad thing but a special experience) Although it is not *cold* (will get hot / sweat when sun comes out) but the overall experience is great! Lots of indoor attractions and arcade games (free for all) in Fantasy park. Nice warm tea at the tea house (and clean toilet with no queue here too XD) Remember to leave the place before 7 as it will become a very dark and silent.. (we stayed until 715pm and have to wait until 8 to get the cable car down hill.. and it was super darrrkk). Redemptions of physical tickets was very fast and easy. Lookout for klook desk located in an office on the left hand side building of the main entrance. Just ask any staff and they will show you the directions. Bana Hill visit is a must when visiting Da Nang. Redemptions of physical tickets was very fast and easy. Lookout for klook desk located in an office on the left hand side building of the main entrance. Just ask any staff and they will show you the directions. Bana Hill visit is a must when visiting Da Nang. Very good trip. Ticket is for admission and cable car ride. There are a few cable car lines. Be sure to check what time they open and close. Weather that day was great. A great cooling retreat from the hot weather. Very good trip. Ticket is for admission and cable car ride. There are a few cable car lines. Be sure to check what time they open and close. Weather that day was great. A great cooling retreat from the hot weather. A lot of people write that you should check the weather before visit. Yes, you have to check it. We were in rain time. No visible bridge, but French village and parks are pretty good in fog. And choose the visit time in not weekend. A lot of people write that you should check the weather before visit. Yes, you have to check it. We were in rain time. No visible bridge, but French village and parks are pretty good in fog. And choose the visit time in not weekend.